A special movie tie-in edition of R.J. Palacio's #1 New York Times bestseller, now a major motion picture starring Julia Roberts, Owen Wilson, Jacob Tremblay, Daveed Diggs, and Mandy Patinkin. Over 6 million people have fallen in love with Wonder and Auggie Pullman, the ordinary boy with the extraordinary face, who inspired a movement to Choose Kind. August Pullman was born with a facial difference that, up until now, has prevented him from going to a mainstream school. Starting 5th grade at Beecher Prep, he wants nothing more than to be treated as an ordinary kid--but his new classmates can't get past Auggie's extraordinary face. 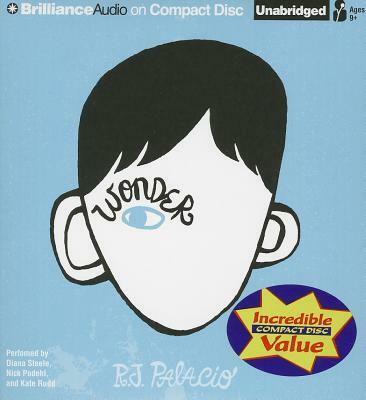 Wonder, a #1 New York Times bestseller, begins from Auggie's point of view, but soon switches to include his classmates, his sister, her boyfriend, and others. These perspectives converge in a portrait of one community's struggle with empathy, compassion, and acceptance. In a world where bullying among young people is an epidemic, this is a refreshing new narrative full of heart and hope. R.J. Palacio has called her debut novel "a meditation on kindness" --indeed, every reader will come away with a greater appreciation for the simple courage of friendship. Auggie is a hero to root for, who proves that you can't blend in when you were born to stand out.